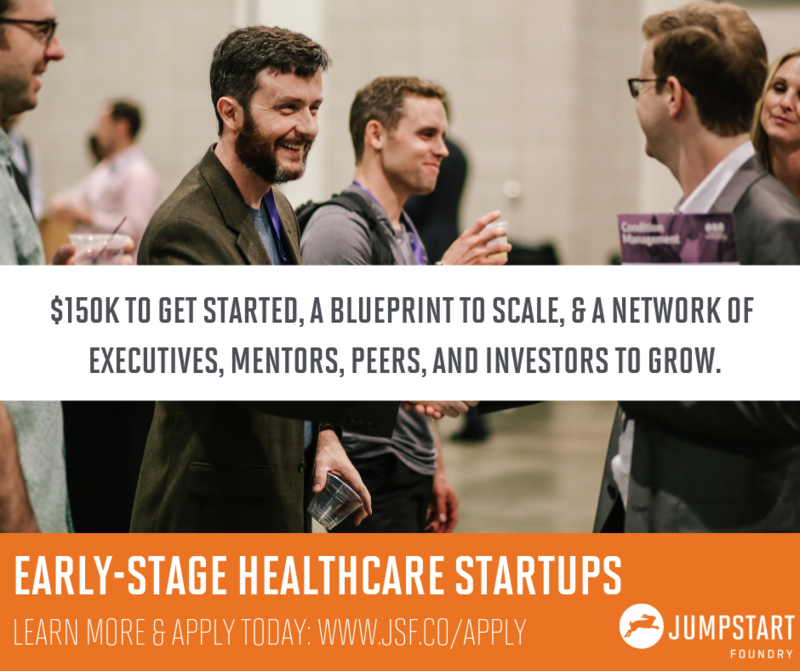 Jumpstart Foundry’s Brand Partnerships connect and collaborate with healthcare innovation ecosystems across the country, and increase access to early-stage funding for high growth healthcare start-ups. Jumpstart Foundry is a seed-stage healthcare innovation fund with one simple mission: Make Something Better*. Every year, we invest in 15-20 healthcare start-ups from across the country that are building innovative solutions that solve real pain points in the health & healthcare industries. We invest $150,000 into each company and have standard terms, using a SAFE note, for all deals. Have an early- stage healthcare startup?